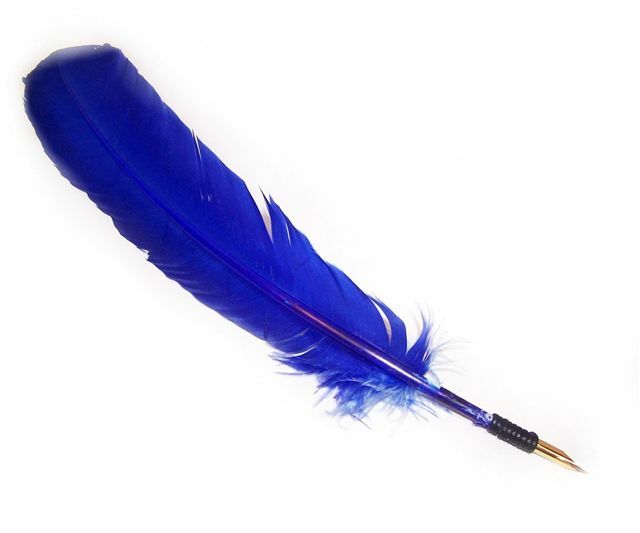 Quill Pens and Feather Quills for Traditional Writing With Ink and Nib - Discover our large range of fluffy and straight feather quill pens with quality removeable nibs - a full range of colours available. Visit The Realm Of White Magic On-line Ordering - we ship to every part of the world. Empower your Realm of spiritual well-being with the magic of Incense, Herbs, Powders, Crystals, Spells and much more. Specialists in rare botanicals, incense and magical supplies since 1989..visit us now! 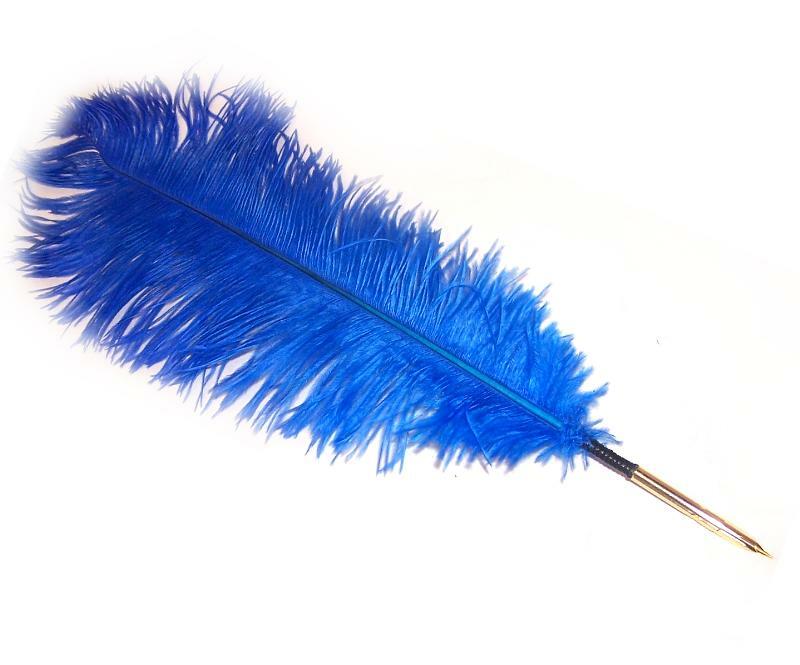 Each quill is as unique as the writer. The word pen comes from the latin word 'penna' which means feather. 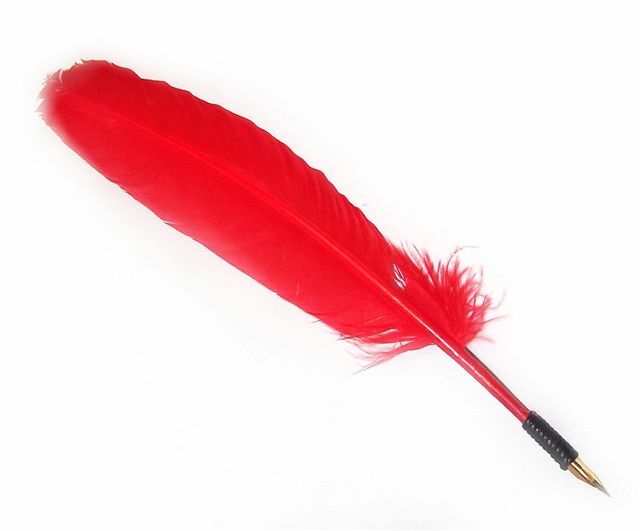 The writing Quill pen came into use in the seventh century after the Reed pen and remained a common writing instrument for most of the Western World. Many practitioners who work in traditional magickal paths still prefer to use old-fashioned feather quill pens for writing out wishes, prayers, spells and for drawing occult and spiritual Talismans. 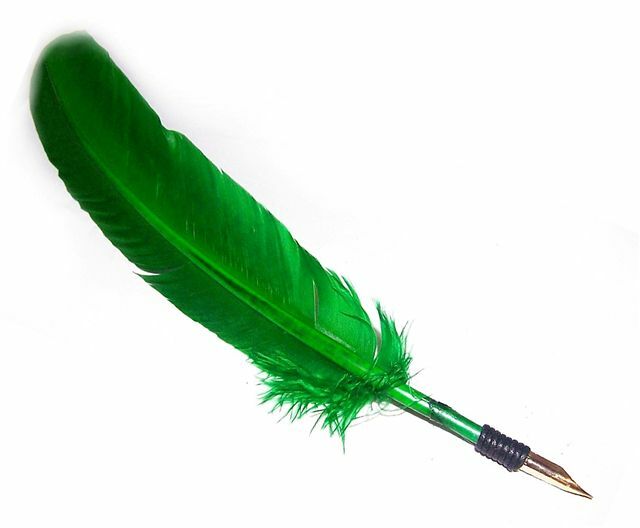 Use colour magick when using your quill pen to add power to your intent. 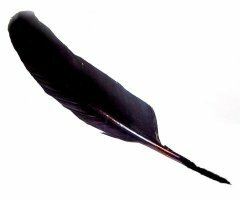 Write with a quill in your book of shadows, on parchment paper, talismans and other magickal writings. Choose from our range of Magickal Inks. Elemental Inks - Dragons Blood - Doves Blood Inks and more. WHITE: for Protection and Purification spells. 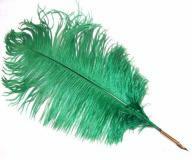 GREEN: for Money spells and Gambling luck spells. RED: for Love and Lust spells. BLACK: for Protection and Repelling Negativity spells. PURPLE: for Psychic Tuning, Ambition and Power spells. YELLOW: for Creativity, Concentration and Success spells. the feathers are natural and will vary in shape. A wonderful item for the pen collector or on your antique desk or magickal altar. 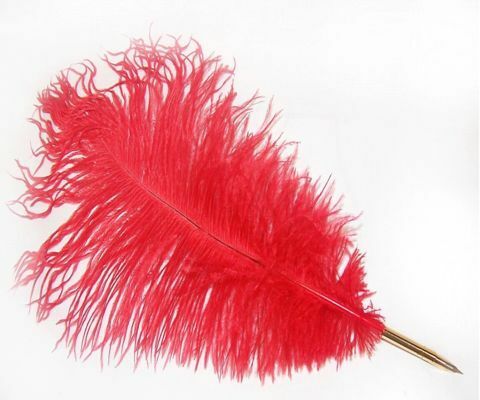 Choose from our range of Straight Turkey Quill colours below. 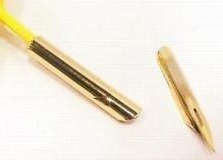 mounted in a GOLD GUILTED shaft. 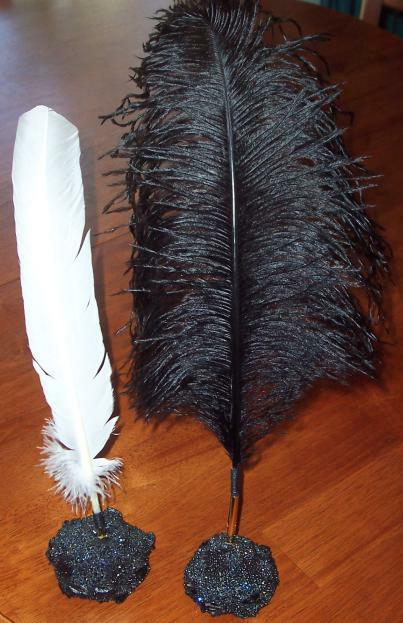 Each quill is finished with leather binding, the feathers are natural and will vary in shape. 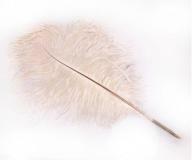 Choose from our wide range of Fluffy Ostrich Quill colours below. Hand made clear crystal pen stand comes to you in a satin lined gift box. 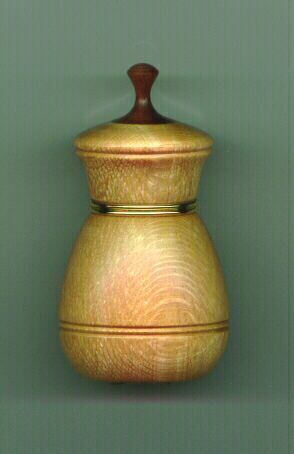 Place your Quill or Pen in this beautiful holder on display. 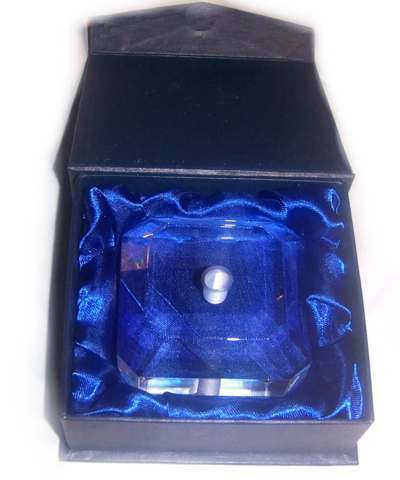 This stand is very solid and heavy and comes with its own gift box for storage. Natural Porcupine Quill Pen - Genuine! Size: 7 inches or 18 cm approx. 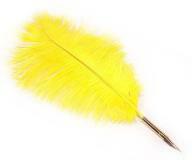 A genuine Porcupine Quill for writing. Made entirely from a porcupine quill with a fine tip for delicate detail and a stem that is easy to hold. 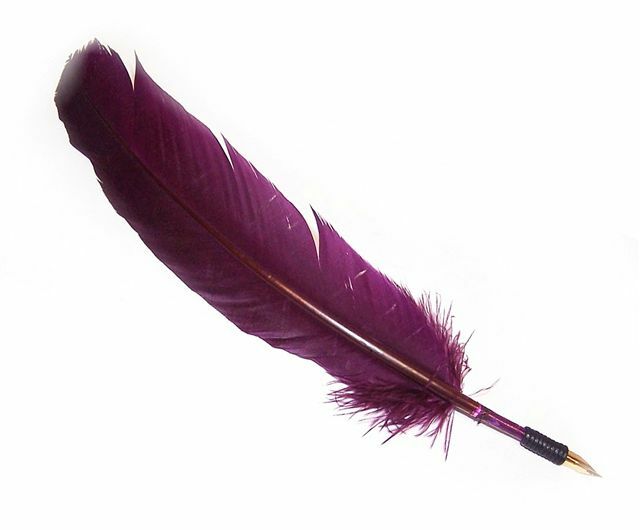 Excellent for adding a little extra power and creative energies to your rituals as this quill comes from an animal so amoured for its own defense, it lends an increased potency to those spells involving protection. Dip quill in your favourite inks and write on parchment paper. This quill can also be used for inscribing candles. The name "porcupine" comes from combining the Latin for pig and French for spine, hence the nickname "quill pig". The porcupine's chief defense is its quills, sharp spines distributed across the rodent's back, sides, legs, tail, and head, giving one animal as many as 30,000 quills. Porcupine Quills are sharp-pointed, fitted with microscopic barbs, and expand on contact with warm flesh. 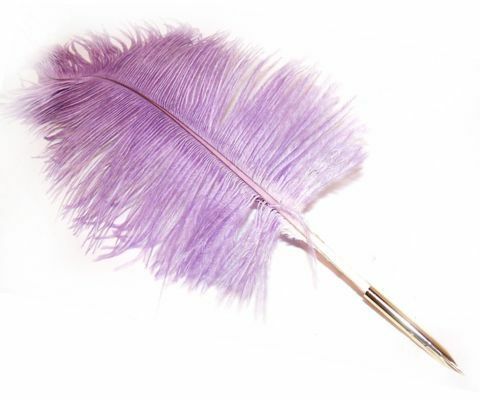 Muscle contractions in a quill victim work the quill deeper, as much as an inch per day unless quills are removed promptly!! Here is a photo of a quill showing microscopic barbs - magnification x 50. 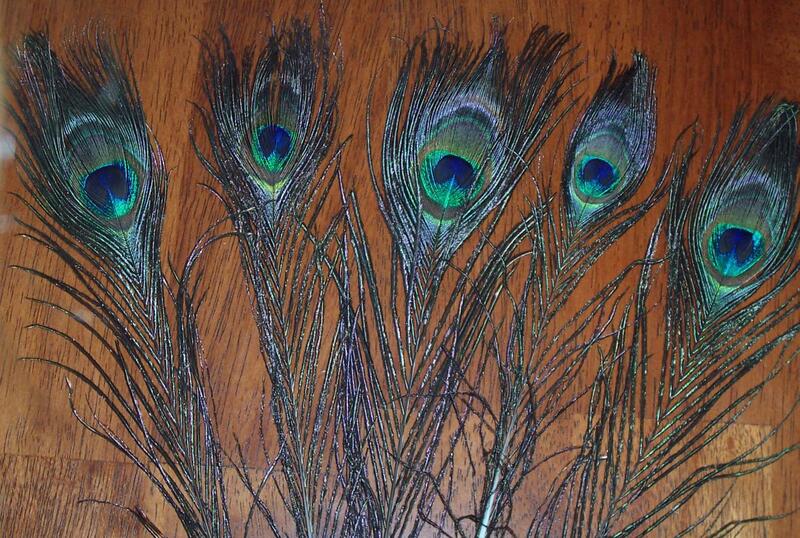 Peacock feathers are believed to be a symbol of protection, especially in the home. 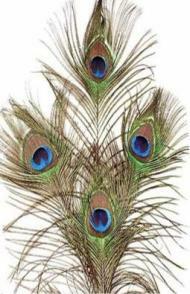 Good luck, harmony, serenity, peace of mind, relaxation and personal pride are all associated with the magnificent peacock. 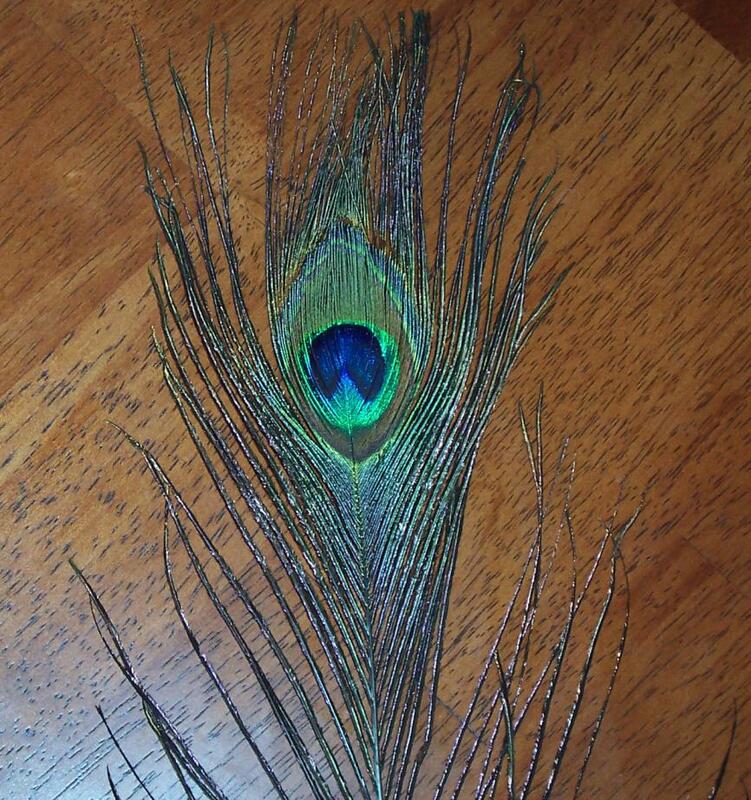 The Eye of the peacock feather is said to be the 'All-Seeing Eye'. Peacock feathers also represent fidelity because the peacock often dies of grief, or remains single, if it loses its mate. 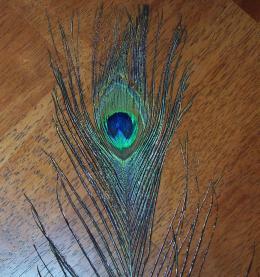 The Peacock Eye Feather features an iridescent blue-green colour and is an art in iteself. 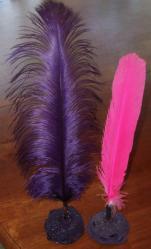 Feather stem colours include Blue, Yellow, Purple, Cerise, Orange, Red and Turquoise. No two feathers are the same. 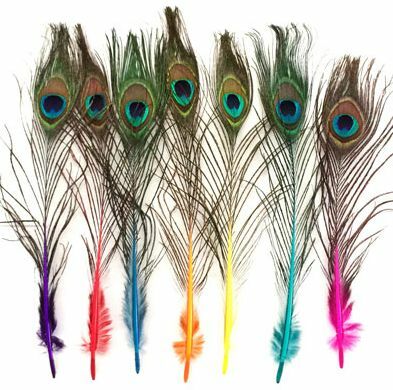 These peacock feathers have a smaller eye and would be perfect to add to your special invitations, letters, jewellery making and all creative crafts. Believed to bring Protection and Good Luck! Useful in spellwork, bookmarks and making magickal tools. A beautiful addition to your home or altar. Place some of these dainty coloured peacock feathers in your favourite clear glass bottle or decorative jar for something really different. 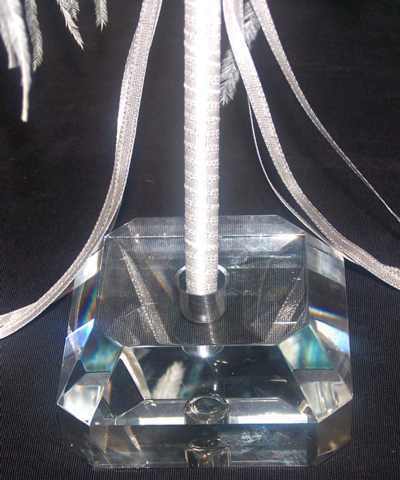 Size: approx 17 - 20cm including shaft stem. 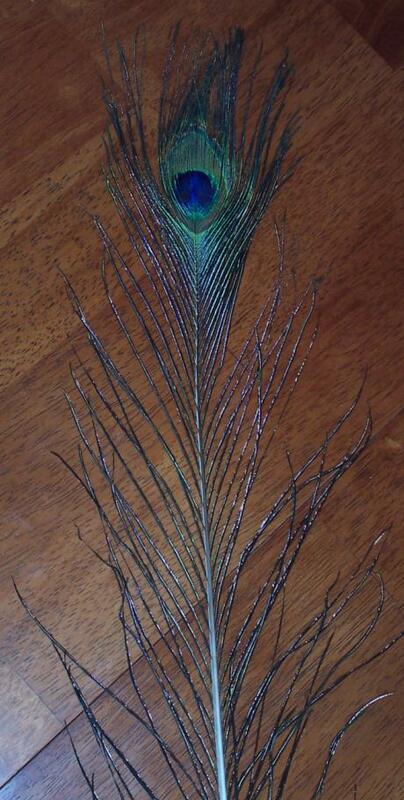 The Peacock Tail Feather features an iridescent blue-green colour and is an art in itself. No two feathers are the same. These peacock feathers have a smaller eye and would be perfect to add to your special invitations, letters, jewellery making and all creative crafts. Believed to bring Protection and Good Luck! Useful in spellwork, bookmarks and making magickal tools. A beautiful addition to your home or altar space. Place some of these dainty peacock feathers in decorative glass bottles or plant pots for a fresh display of natural colour. 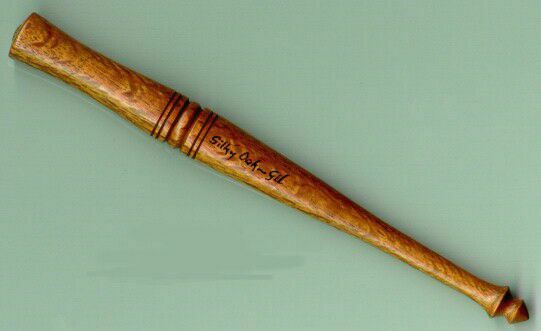 Size: approx 17 - 20cm including shaft stem. 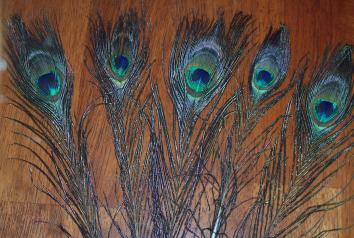 These are beautiful Peacock Eye feathers and useful in spellwork, bookmarks and making magickal tools. We have a mixture of small and medium sizes with the diameter of eye at approximately 20mm to 50mm. 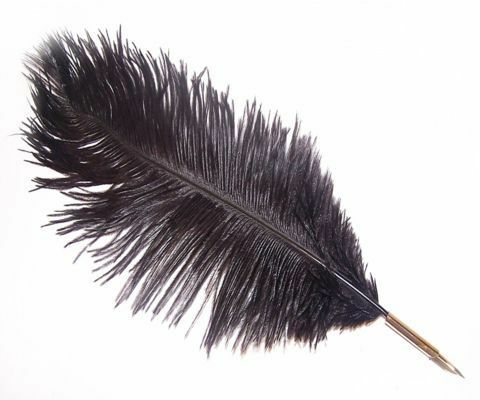 Image shows several feathers. 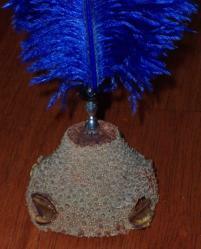 Size: approx 26 - 30cm including shaft stem. 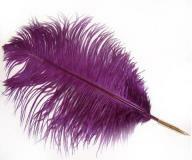 Feathers are believed to be an omen of good fortune and representative of the soul�s journey to other realms. Feathers are used to focus concentration in spellwork, making wishes and to promote change. They are ruled by the element of Air. 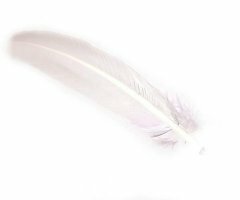 Useful in spellwork, smudging, bookmarks, making prayer feathers or add to magickal tools and crafts. 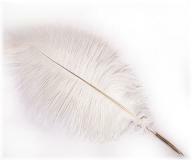 Every single feather is totally different to the next, no feather is perfect as they are a natural product. Black - repels negativity, truth and dispel confusion. 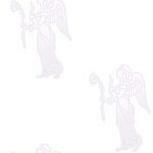 White - brings peace, purification, protection and blessings. 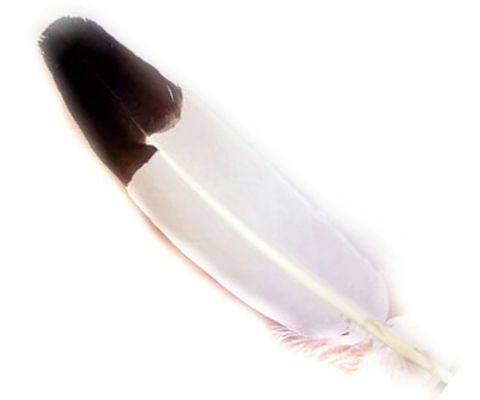 White with Black/Brown Tip - Drives away harmful energy, protection and blessings, smudging, prayers, peace and happiness. 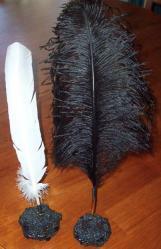 Natural white turkey feather with the tip dyed to imitate an Eagle Feather. 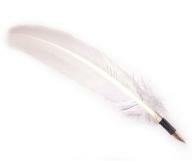 The Eagle Feather reminds us of the basic sacredness of all birds. A beautiful addition to your home or altar space. 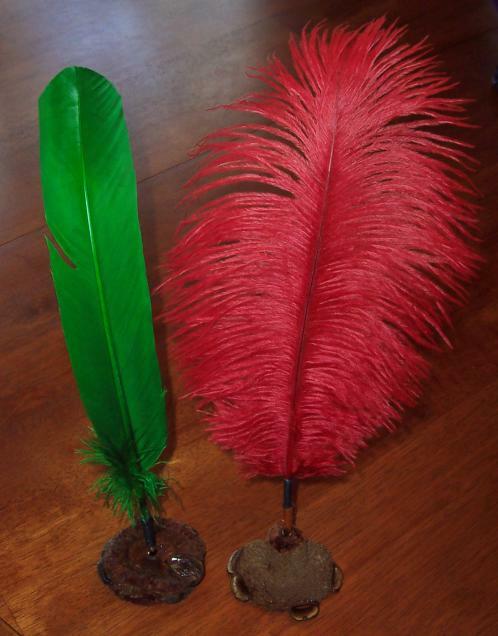 Place your feather quill or biro pen in this stand for a nice natural look. 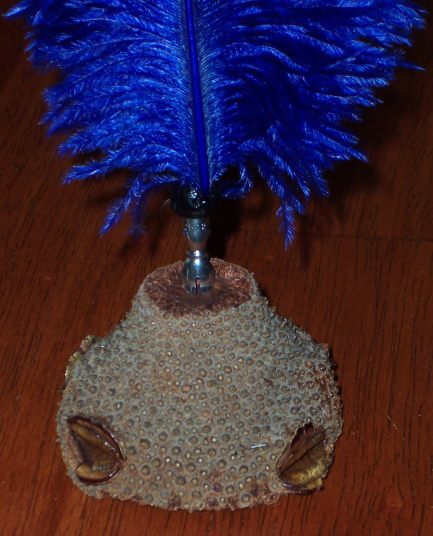 These are really unusual and made from Australian Banksia Nuts. No two are the same. These were a limited edition item! 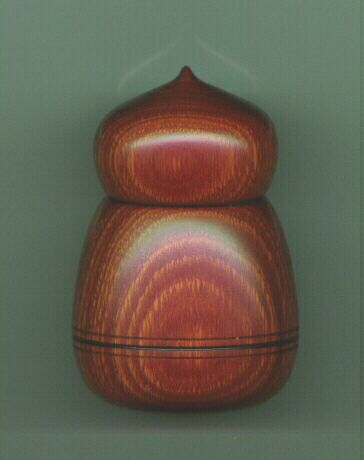 Choose from Silky Oak, Jarrah, Tasmanian Blackwood etc on our ORDER FORM. A selection of beautiful Nib pens for magickal writing. 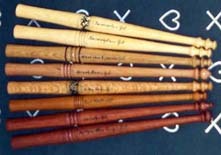 These pens are handcrafted in Australia and shaped from beautiful woods. These beautiful pens make a fine addition to your writing space. 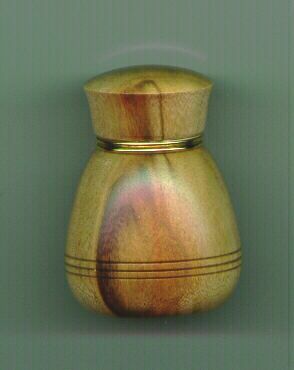 Order an Ink Pot to match your pen in the same wood. Limited Availability - be quick! Our Small Ink pots have a plastic insert and suitable to hold our Ink bottles. Our Large Ink pots have a glass insert, suitable to pour ink into with a screw lid. 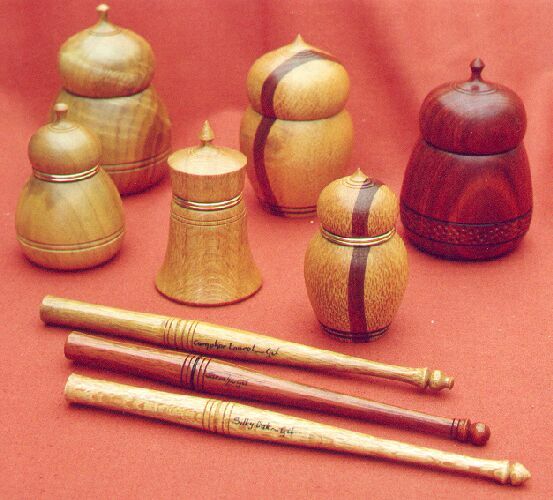 These Ink Pots are handcrafted in Australia and shaped from beautiful woods. These beautiful Ink Pots make a fine addition to your writing space. Order an Nib Pen to match your Ink Pot in the same wood. 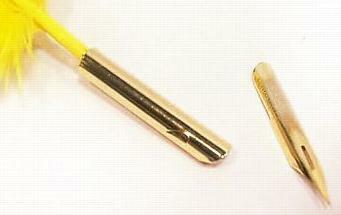 Suitable for our Nib Pens and Quills shown on this page. Will fit most standard Nib Pen sockets. 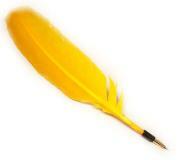 Note - Our Post Office Gold Gilt Nib can be seen in any of our Feather Qull Pen photos at the top of this page. A standard black nib pen that fits most nibs - 16.5cm long - slender design. Includes a Goose Feather Quill with a reservoir attachment and how-to instructions for hand cutting the nib. Quill comes with ready cut nib to get you started. 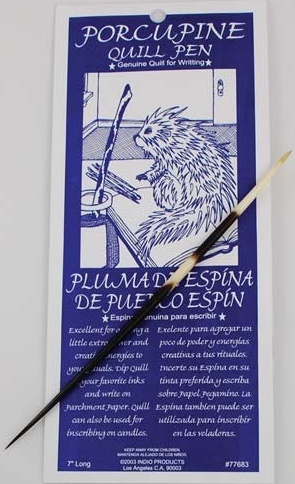 Use this kit to learn how to cut quill pens the traditional way before the use of nibs. Quills Slide Show for your viewing pleasure.